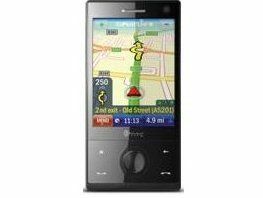 Most new mobiles pack GPS chips these days, but unfortunately too few allow you to navigate turn-by-turn in a car. CoPilot has sought to remedy that problem by releasing a programme for the HTC Touch Diamond that allows you to do just that. The CoPilot Live 7 HTC Touch Diamond Edition, one of the most explanatory names ever, gives all the functionality of a standard GPS unit in your mobile, so no longer will you have to double your chances of having your car broken into and your toys pinched. The CoPilot programme has 2D or 3D mapping, postcode finding and auto-route calculation. Safety camera updates are included free of charge, and traffic updates are available over a mobile connection for a fee. The service also allows people to track your vehicle (we assume when you want them too) with a free of charge tracker, so people can send you messages and even add things to your route for you. You can buy the DVD from Amazon, or get it on download from Handango.com. Always good to have options, isn't it?